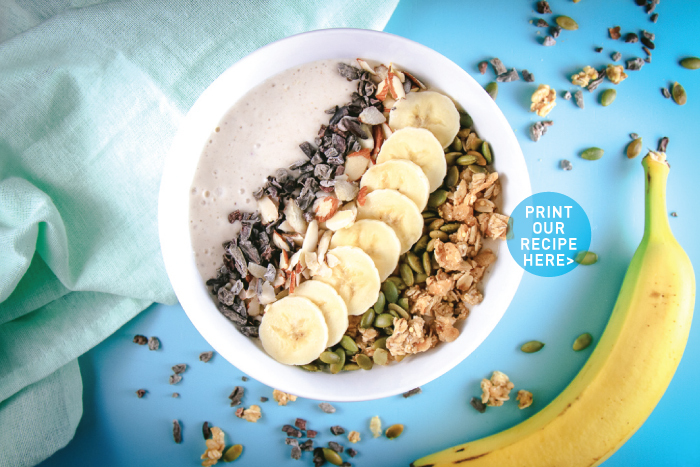 This bowl features a blend of bananas, oats, and Greek yogurt -- a tangy and filling base. The toppings add a bit of crunchiness, saltiness, sweetness, and healthy nutrients to the experience. Fun Fact: did you know cocoa nibs are actually good for you? It’s true - one ounce has 9 grams of fiber- what a delicious reason to eat them for breakfast! 1. 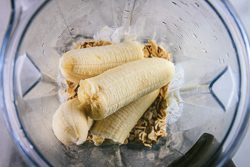 In a powerful blender, combine the bananas, oats, yogurt and vanilla and blend on high until smooth. 2. 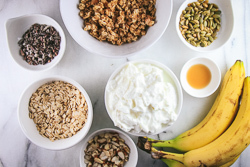 Pour the banana and oat mixture into bowls and top with granola, banana slices, cocoa nibs, almonds, and pumpkin seeds.